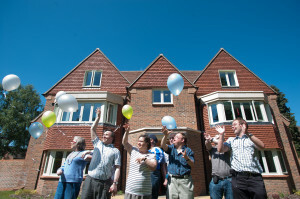 Ability provides housing, care and support services for people who want to live more independently. We have two operating divisions – Ability Housing and Ability Care & Support. These provide housing, care or support to more than 1,000 people with learning disabilities, mental health needs, physical or sensory impairments, in 32 districts in London and southern England. We are ISO 9001 quality accredited and an Investors in People organisation. We are registered with the Care Quality Commission to provide personal care, and accommodation with personal care, in a variety of locations. The CQC checks these services at least once a year to make sure they are up to standard. You can read their reports here. Around 750 customers use our care & support services. We operate in 32 local authorities across the south east. We have around 200 members of staff. Our average weekly rent is £110. Our turnover in 2016-17 was £10.6m.